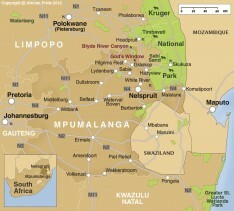 Aptly known as "Paradise Country", few regions in the world can match the extraordinary beauty of Mpumalanga. 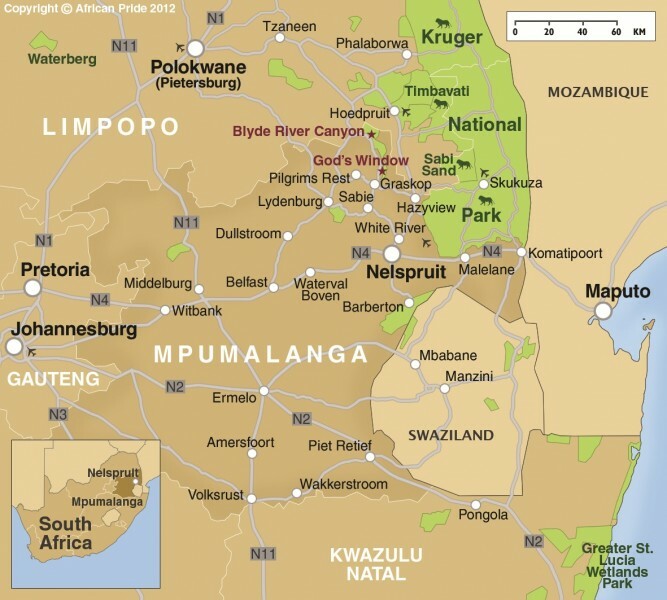 ​Formerly known as the Eastern Transvaal, Mpumalanga is one of South Africa's top tourist destinations. People are drawn to the area by the magnificent scenery, by the fauna and flora and by the saga of the 1870s gold rush era and a wealth of fascinating tribal legends. Often driven through from Johannesburg en route to the Kruger National Park, Mpumalanga offers the visitor some of the most stunning sights in South Africa. For example the Mac Mac Falls are worth stopping for; and you can treat yourself to a swim in the crystal-clear pools. A small detour leads to Pilgrim's Rest; a fascinating historic town, well worth exploring before continuing to Blyderivierspoort Nature Reserve. In the reserve, you can feast your eyes on the Blyde River Canyon and the rich bird life. At the southern tip of the reserve, the view from God's Window stretches to eternity across the Lowveld.